That’s right. You got #suydamized. This is the new hashtag and phrase for those who have their tables stolen from them by zombie comic artist Arthur Suydam, who created a huge controversy at Montreal Comic Con where he stole several creator’s paid for tables to create a “super display” for all of his wears. People like Mark Waid, Ron Marz, Chip Zdarsky, and other major artists have begun to call him out publicly on Twitter, Waid going as far as to say that he was going to get his tables torn down and that he will be watched like a hawk. 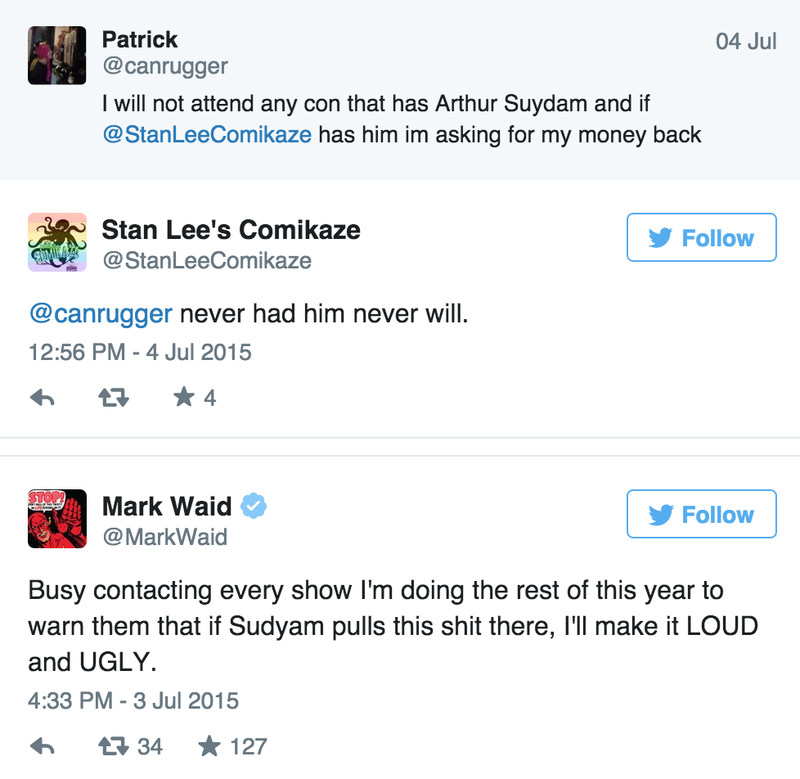 After everyone else, including the con promoters, have weighed in, finally Arthur Suydam had something to say. Suydam’s Manager finally issued a statement about the event, showing exactly the kind of disdain that he seems to have for everyone in the industry around him. People will recognize Renee Witterstaetter as an accomplished comic creator in her own right(and from personal experience, much more friendly at cons). This has not slowed things down as the #suydamized hashtag emerges as people refuse to let this go. This focus is pretty understandable as many are simply fed up with this type of behavior, which has become notorious from Suydam and a few others in the industry who let their ego drive their path of devastation through convention alleys. Rachel Richey, who had her table stolen by Suydam and who already issued a statement, sounded like she was going to come to his defense. Instead, she called him out directly for the arrogance that stopped him from even giving her an apology for what he had done. 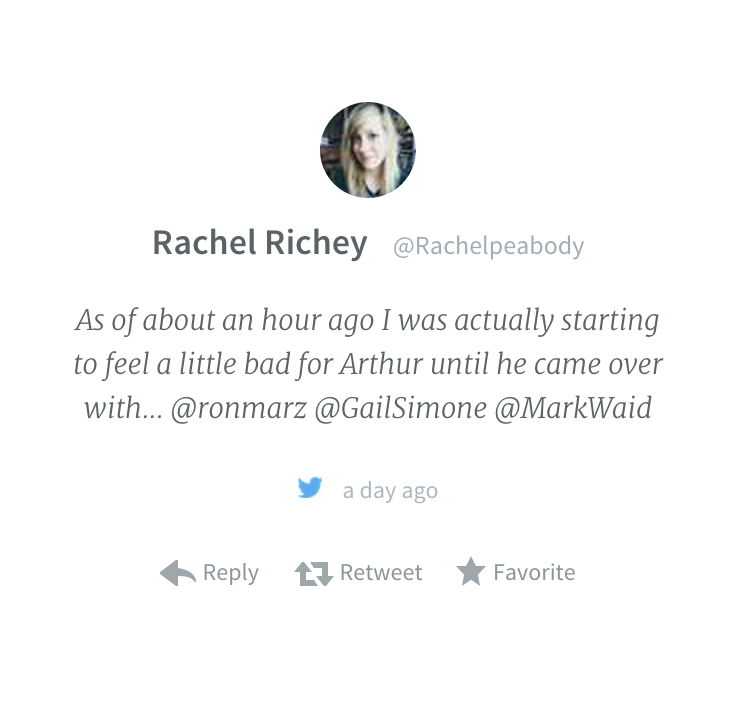 As of about an hour ago I was actually starting to feel a little bad for Arthur until he came over with his agent and had her “speak” to Francis Manapul and (earlier) Dan Parent about the miscommunication. He would have had to go past my table to get back to his, but he disappeared. Apparently I, for reasons I can probably guess right, don’t deserve the non apology that Francis and Dan got. What makes me even more angry is that he had his agent blame the organizers who are honestly the kindest people ever. I’m actually amazed that he’s managed to show how crappy he is. I was more than willing to look past it but honestly, his response is exhausting and disappointing. There was no miscommunication, he bullied the convention, took what he wanted, lied about it, hid behind his agent and tried to pass the blame. At least I can say I stood up for myself and hopefully changed the outcome of future shows. 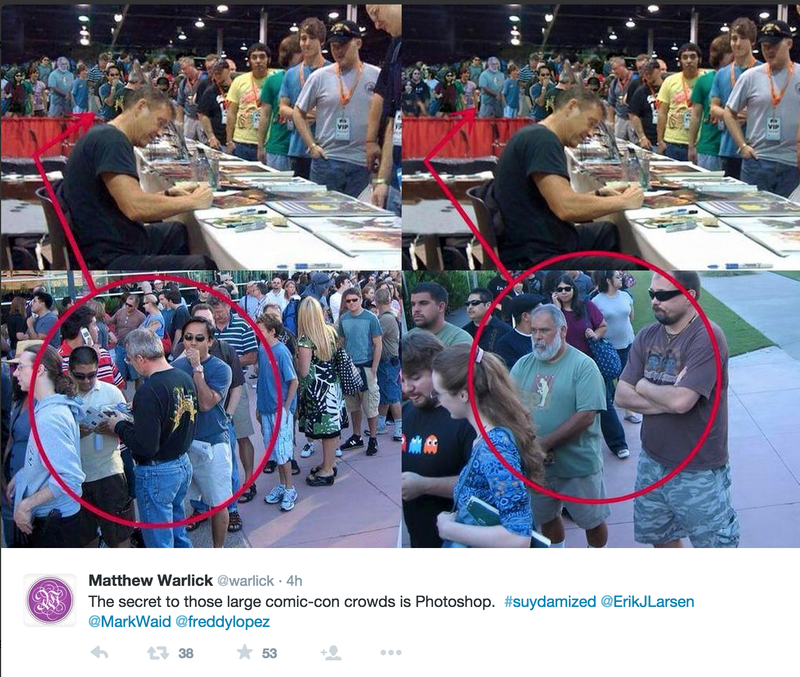 Suydam being shown to manipulate the photos he posts online to make his lines appear longer. For those who find #suydamized a little vulgar, we also have #tablegate as an option.